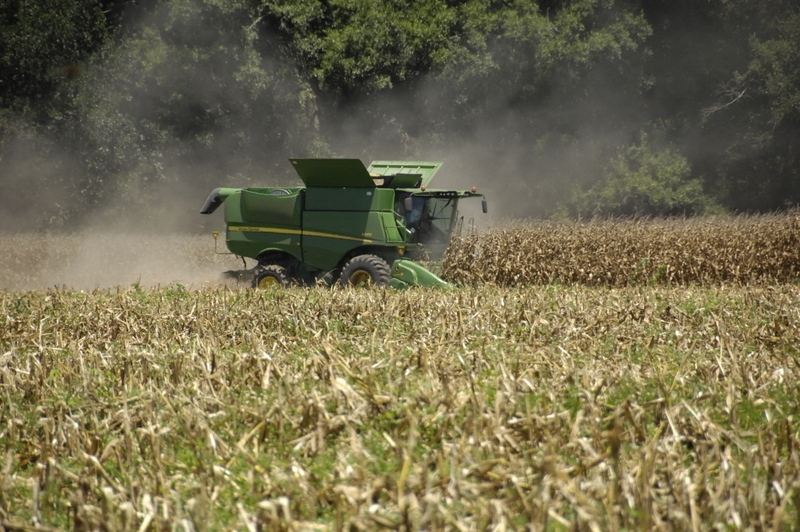 Corn harvest is going strong this week as many growers are in the fields. The moisture is 20 to 24 % so they are having to dry it. 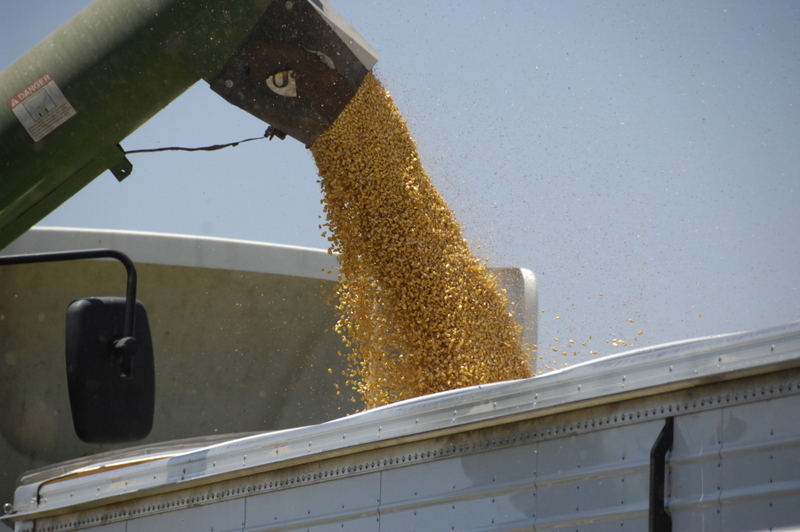 I think it’s a good idea to get it out as quickly as possible for best yield and quality. Also, we had bad southern rust this year so our stalk strength may not be the best. If winds or storms come in we may see more falling than in some years. 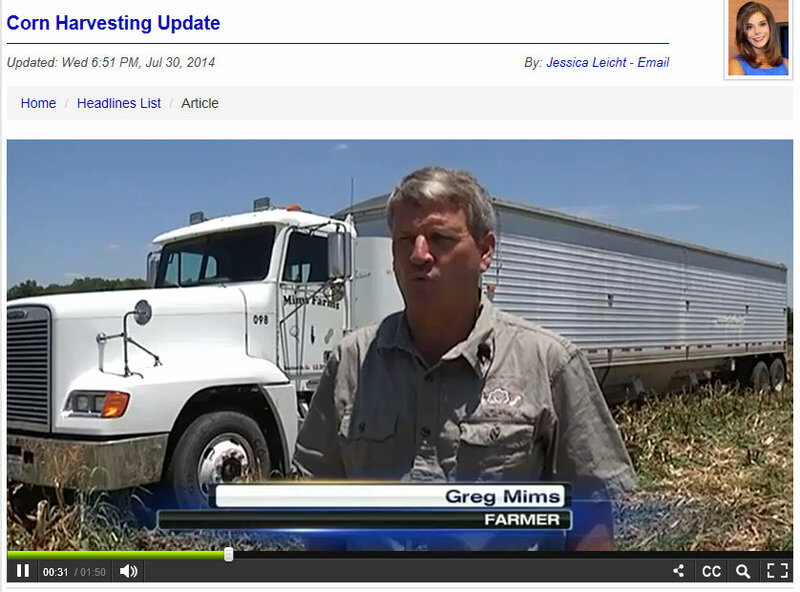 Channel 4 came over yesterday to do a story about the corn harvest and here’s a link to their video. Here are some harvest photos taken yesterday. 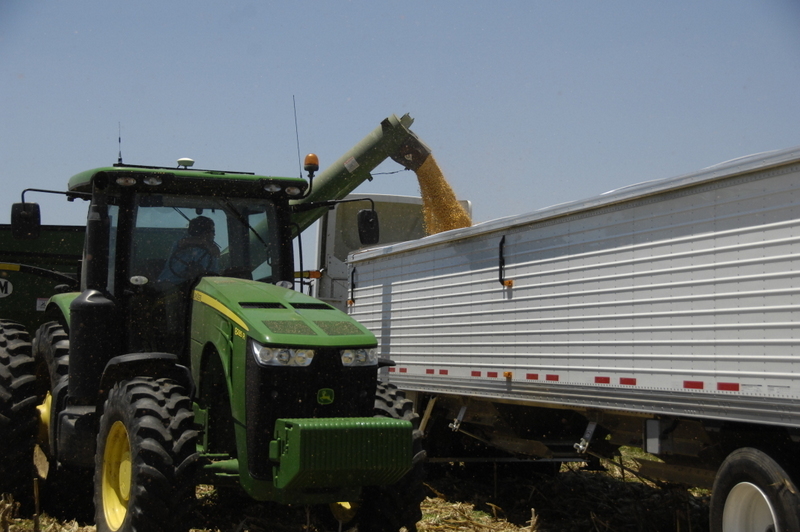 Planting soybeans quickly as corn combine is still in the field. 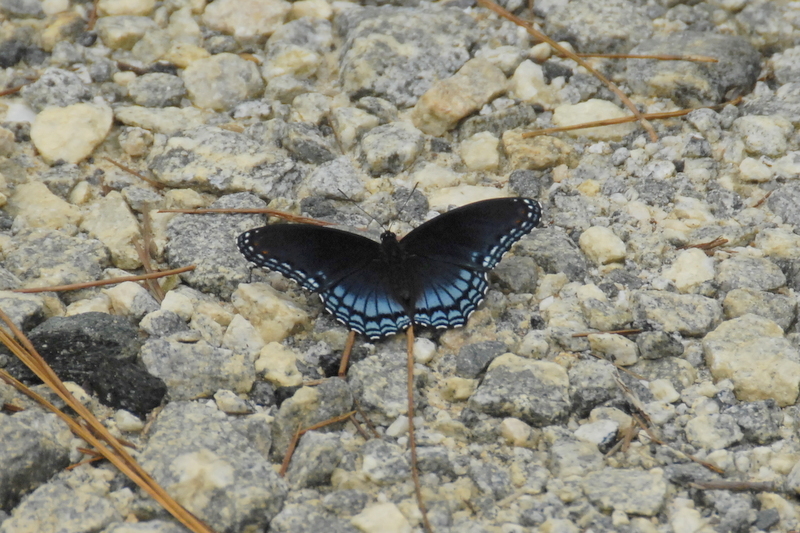 Last week’s butterfly was a Red Spotted Purple, Limenitis arthemis astyanax . The larvae like to feed on wild cherry trees. The butterflies love mud puddles. 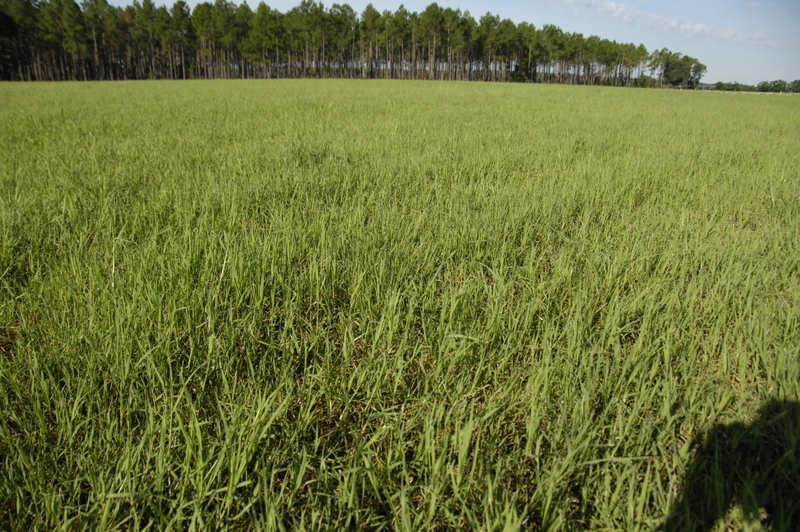 This week I have a forage question for you. 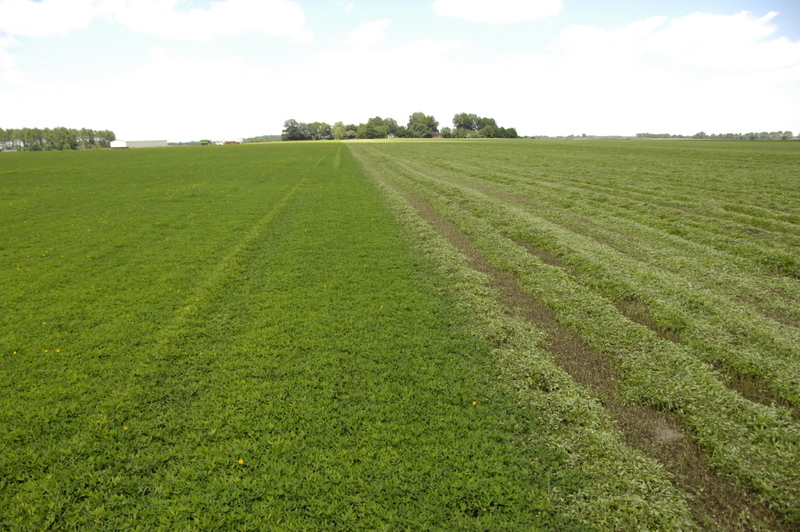 What is this forage crop that we were cutting for hay this week? And what likes to eat it? 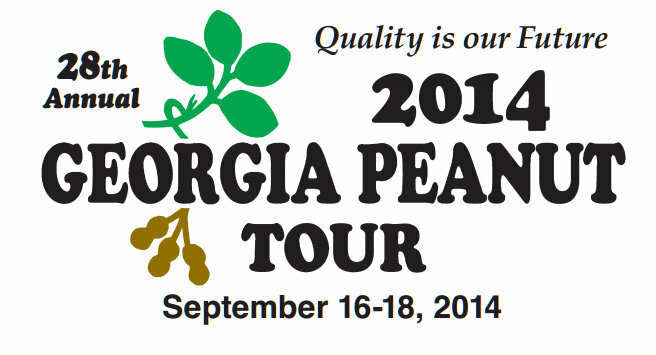 We welcome your participation and encourage you to join us for the 28th Annual Georgia Peanut Tour to be held September 16-18, 2014. The tour will begin with the optional “Hot Topics” seminar on Tuesday, September 16, at 3:00 p.m. at the Holiday Inn & Suites in Pooler, Georgia. This seminar will highlight the current status of peanut production in Georgia, peanut policy and market update, a special focus on the Peanut and Mycotoxin Innovation Lab, and more. The tour will officially kick-off with an orientation on Wednesday, September 17, at 7:30 a.m. at the Holiday Inn & Suites. The caravan will pull out from the hotel promptly at 8:00 a.m. directly following orientation. 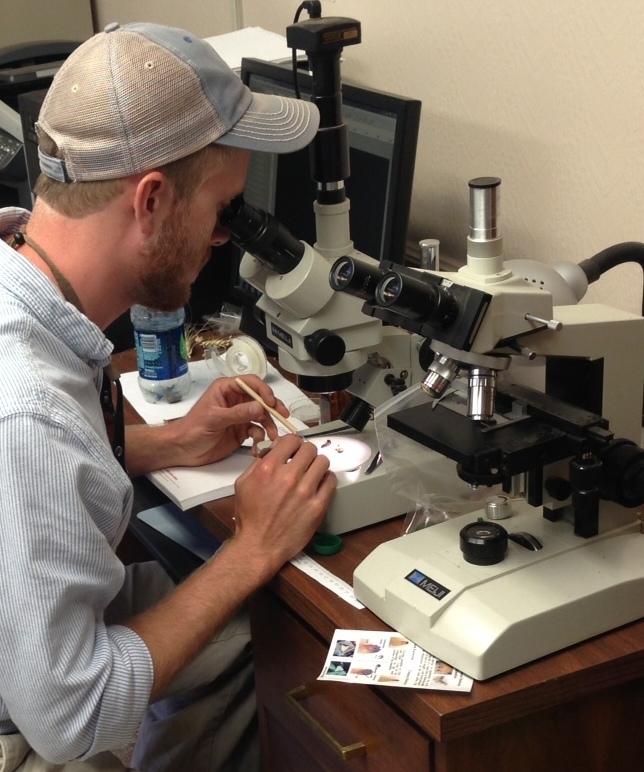 Throughout the two days of touring, participants will have the opportunity to visit peanut growers’ fields, tour a peanut buying point, hear some of the world-class research being done in peanuts, tour the Savannah Port, and much more! To register or for more details visit www.gapeanuts.com. 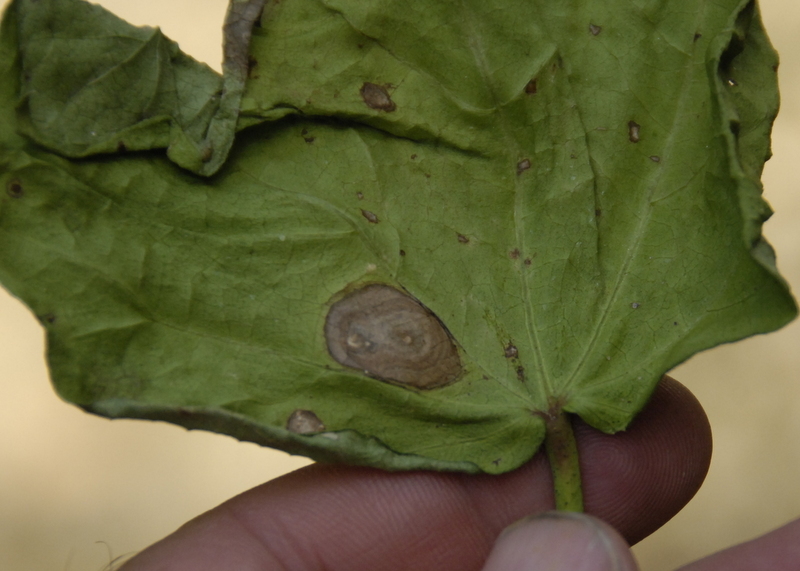 We are seeing a little Target leaf spot in cotton. It doesn’t seem nearly as bad as it has been. Probably due to lots of sun and dry weather. If we get into a rainy, cloudy period it may worsen. It often looks like a target with the concentric rings and is about marble sized. Here’s a photo of a Target Spot lesion I found this week. 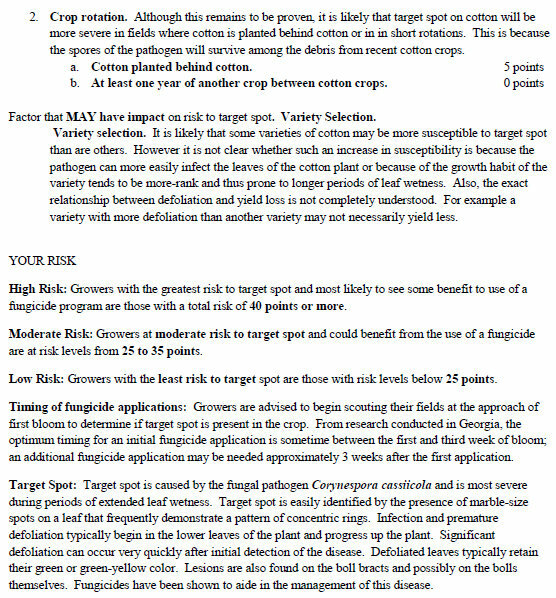 Dr. Bob Kemerait, UGA Extension Scientist, has some good information about this disease as well as a risk index to help with spray decisions. 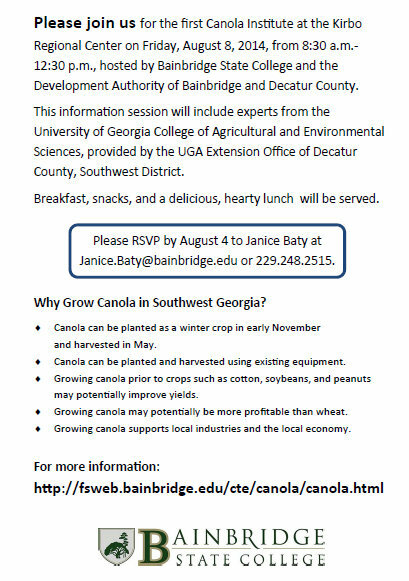 There will be a Canola Institute on Friday, August 8 from 8:30 until 12:30 in the Kirbo Center at Bainbridge College. This event will include presentations from Eric Prostko, Bob Kemerait, and David Buntin (UGA Extension scientists) who will offer production information for canola. Other speakers and presentations will follow. Breakfast and lunch will be provided. If you are interested in attending, please RSVP to Janice Baty of Bainbridge College at 229-248-2515 or at email listed below in Bainbridge College’s brochure. 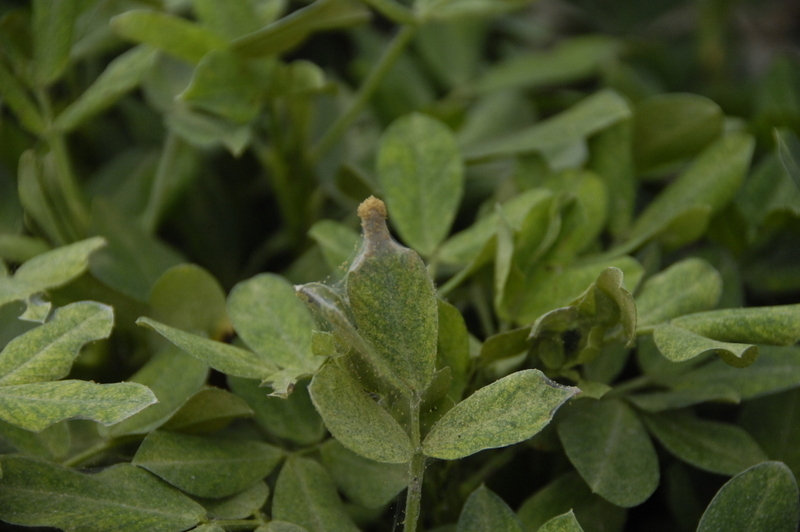 Spider mites are building in peanuts. High heat and dry weather makes them worse. They are mostly seen in dryland fields. I’ve seen a few seriously affected fields lately and I’ve seen them at low numbers in several fields. We sometimes inadvertently make them worse with other insecticide applications because we kill off some of the beneficial insects that were holding them in check. The insecticides that we use on foliage feeding caterpillars at times make spider mites worse. We call that flaring them. Here are some good comments by Dr. Mark Abney, UGA Entomologist. ” The two spotted spider mite is a challenging pest to control. 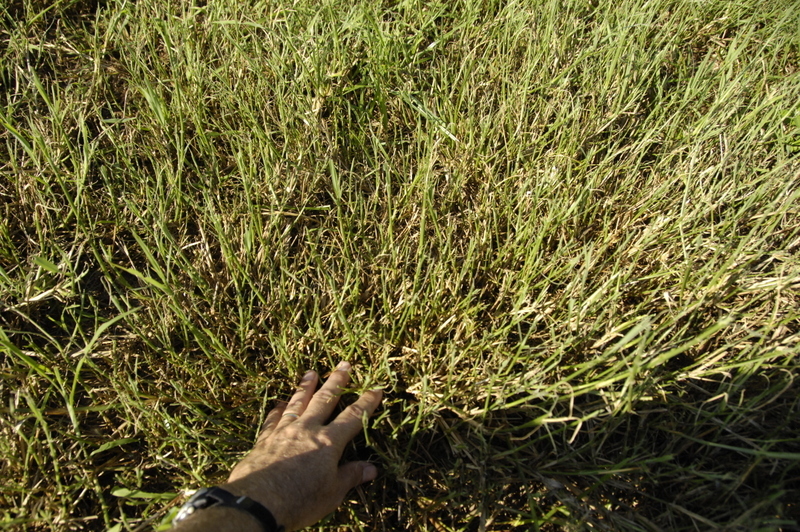 It thrives in hot, dry conditions where it completes development in as little as 7 days at 81ºF. Female mites can lay up to 100 eggs over several weeks, so it is easy to see how infestations can go from light to heavy in a very short period of time. In the early stages of infestations mites will be found mostly on the undersides of leaves. Their position on the plant and the webbing they create make getting good contact with a miticide difficult. 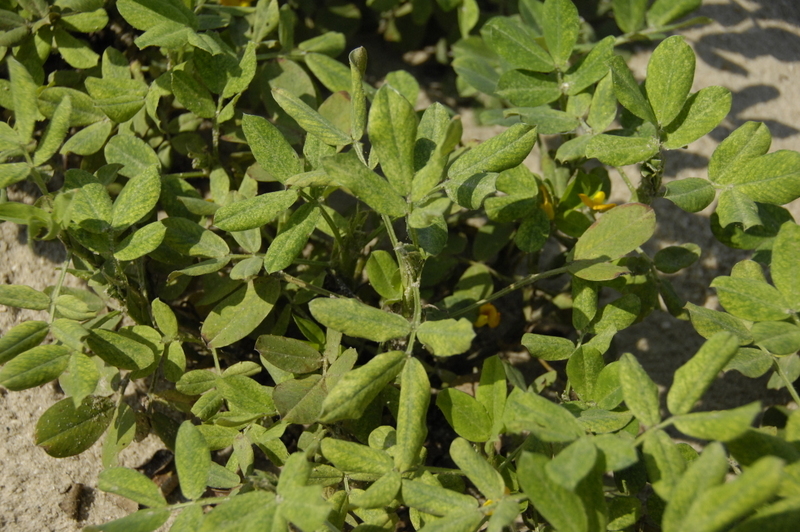 Once infestations progress, mites will be seen on lower and upper portions of the leaves. 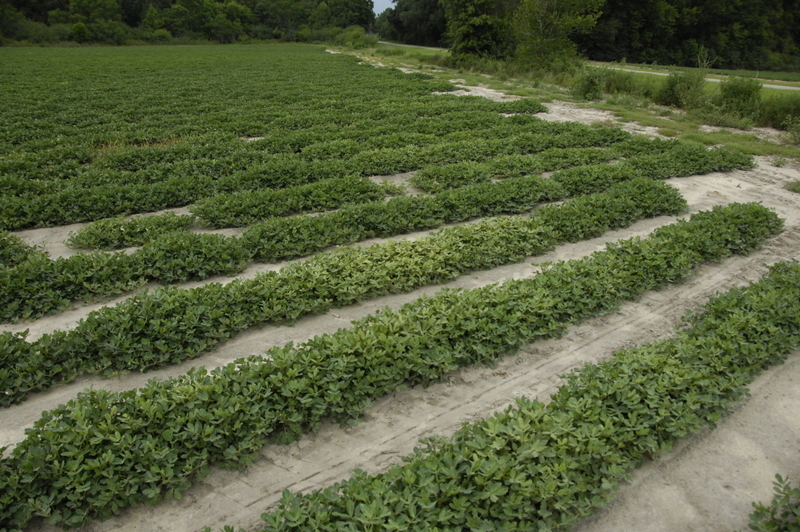 It is very common to see “hotspots” like the one pictured below in peanut fields when infestations are just getting started. Mites will radiate out from these areas to infest the rest of the field. 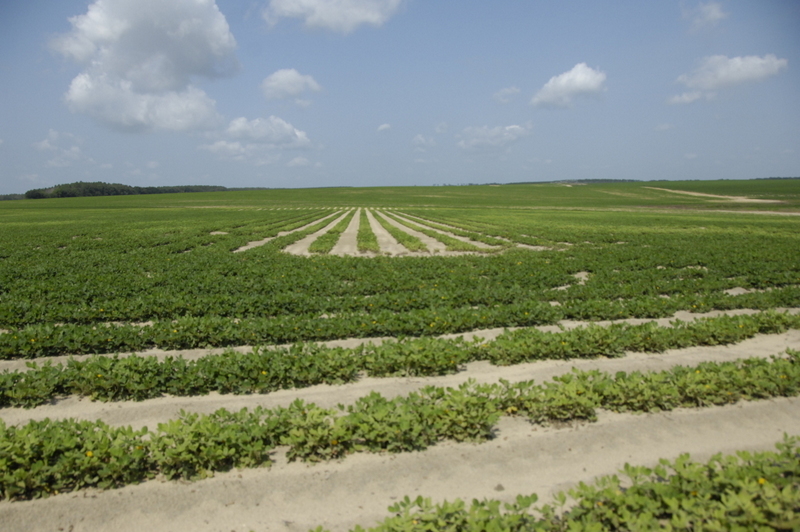 Populations often get established along field borders and especially borders adjacent to dirt roads or field paths. I took these photos this week in Seminole County. Foliage eating caterpillars have been serious in pastures and hayfields for a while now and maybe worse the last week or so. 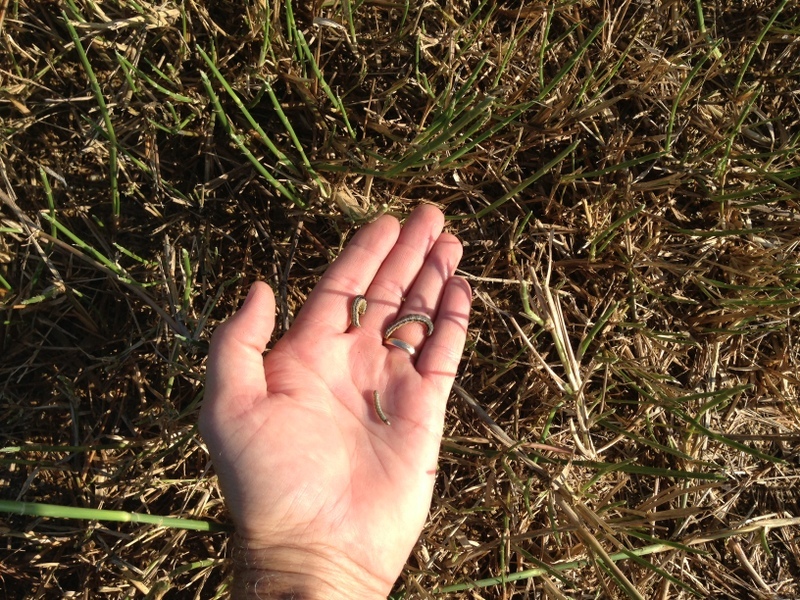 I looked at 2 Tift 85 Bermudagrass fields today that are infested with fall armyworms. They feed very quickly, often with in a few days they can leave stems, no leaves. 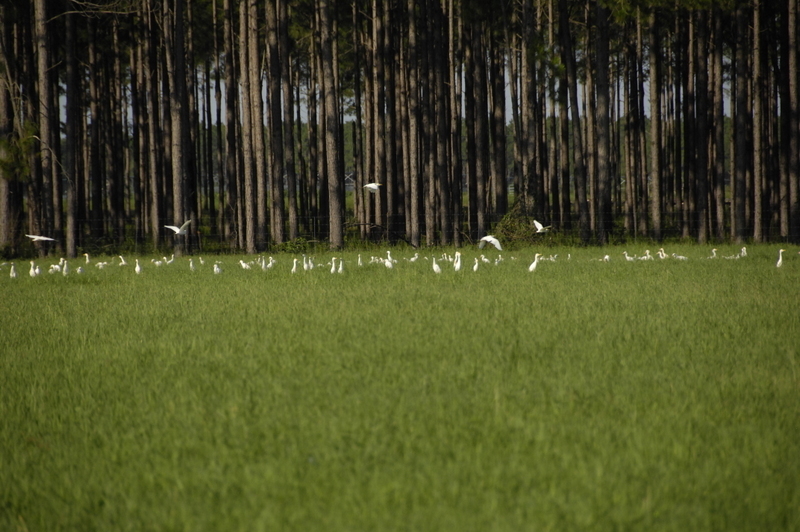 Often white cattle egrets are seen in problem fields, eating on the worms. Unfortunately they don’t eat enough to control them. I’m seeing lots of these rednecked peanut worms. 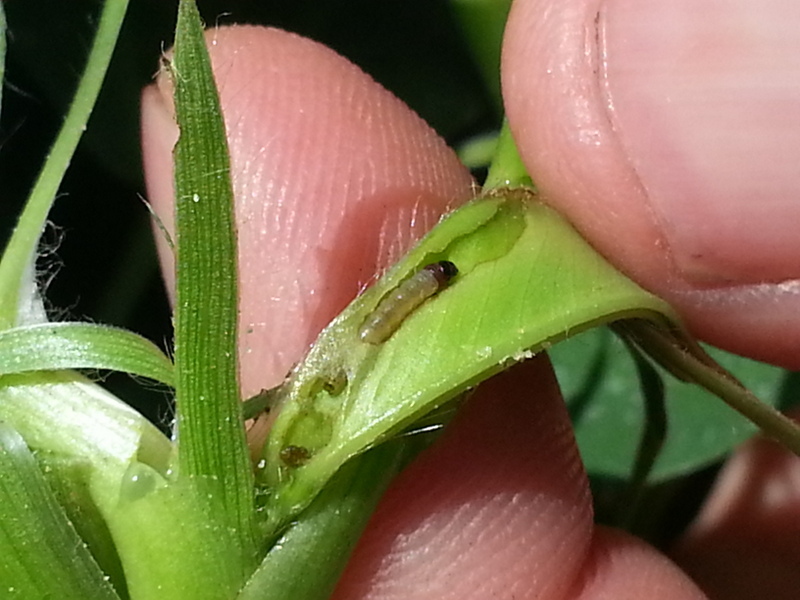 If your field looks stunted in growth it can be partly due to this caterpillar. You have to dig into the young leaf growth to see them. 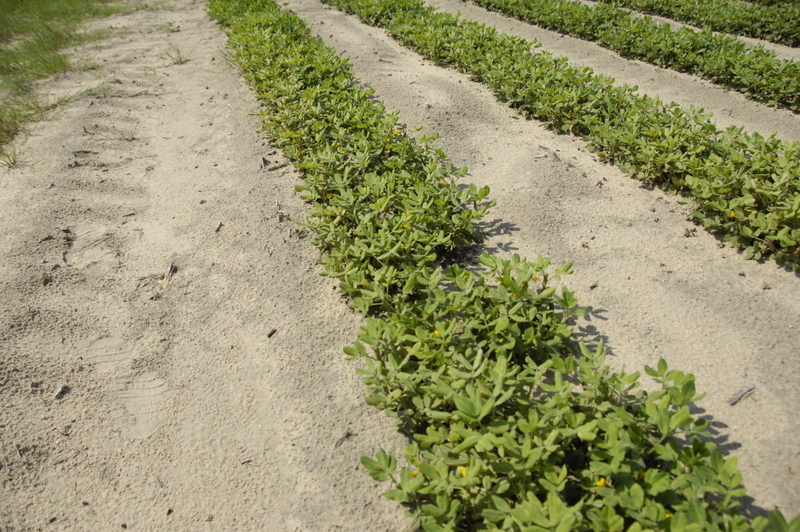 Here’s a photo that Brock Ward, Miller County Agent took when we were looking at some peanuts last week. Moths lay their eggs one at a time, and larvae feed just in the growing tip or bud of the plant. As the small leaves unfold, the damage is seen, and the infested area takes on a ragged appearance. 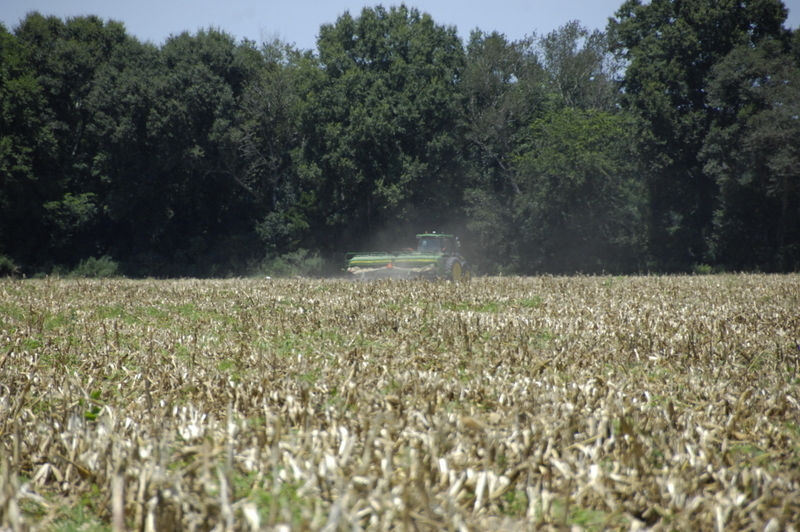 If damage occurs early in the season, plant stunting may result. Worms are cream-colored with a dark brown head and a reddish colored band just behind the head. Full grown larvae are approximately 1/2 inch in length. Worms are active when disturbed. Last week’s snake was a newly hatched Black Racer. Here’s what the adult looks like. 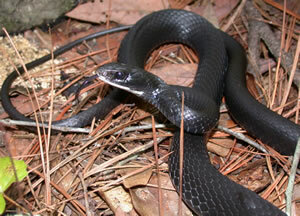 “Black racers are only active during the daytime and are most active in warm weather. At night and during cool weather they take refuge in burrows or under cover such as boards or tin. Racers hunt by sight and are often observed actively foraging during the day. They are not active at night. They eat a wide variety of prey including insects, lizards, snakes, birds, rodents, and amphibians. Decatur county agent, Justin Ballew, showed me this butterfly this week. What is it? Peanuts are good to us and they also are good to many things in nature. Caterpillars love to eat their leaves and blooms. There is a wide variety of caterpillars to be found in the fields now. Mostly Tobacco Budworms, Fall armyworms, Beet Armyworms, and Soybean Loopers. A few Granulate Cutworms and Rednecked Peanut worms also. I was surprised to see a few Velvetbean Caterpillars(VBC), it’s early in the season to see them. Many fields have had to be treated or will be treated this week for foliage feeding caterpillars. It’s funny though, there will be a badly infested field and right down the road a field that doesn’t have a problem? So scouting is very important. Here’s a VBC coming in early this year. They are big eaters, unfortunately. They wiggle around like crazy when touched. Here is a Tobacco Budworm feeding on a peanut bloom this week. Fortunately the peanut plant produces an excess of blooms or we would be in big trouble with this, it is still bothersome and not a good thing. 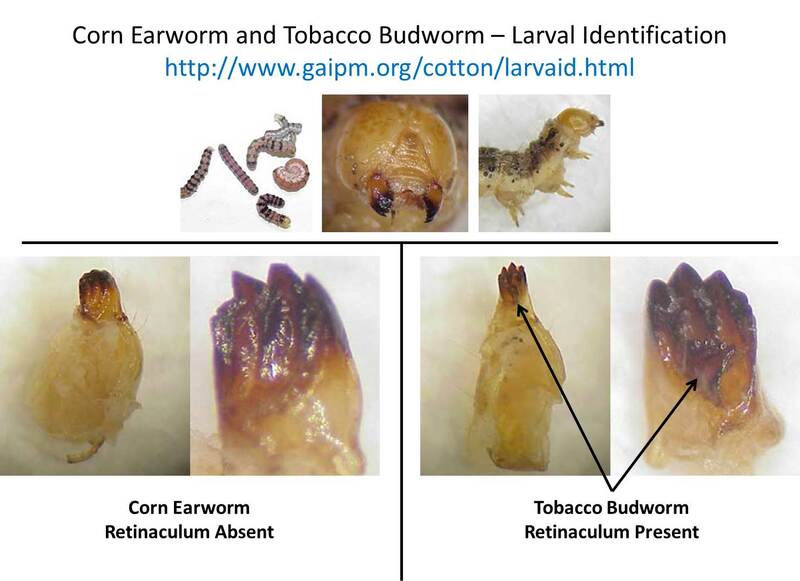 You may notice that I didn’t mention Corn earworm in worms found in peanuts. There are probably some, but they look just like the closely related Tobacco Budworms. Most moths seen lately are budworm moths. 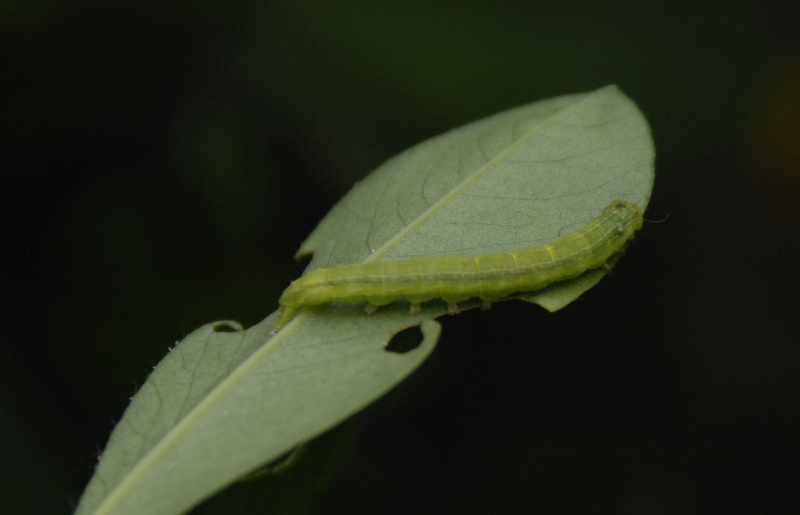 Decatur county Agent Justin Ballew and I sampled several of these Heliothis caterpillars and did some dentistry to positively ID them and all we checked were Budworms (Heliothis virescens). 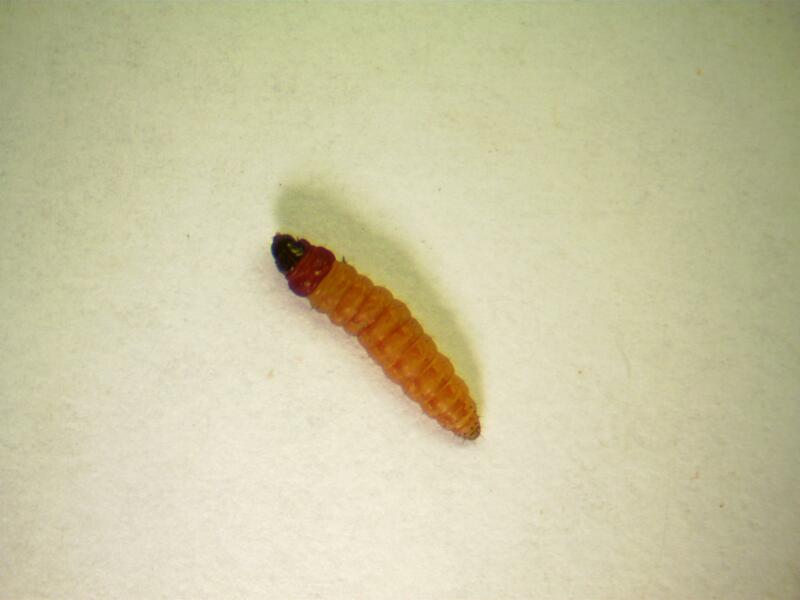 They are often very tough to kill with pyrethroids so other chemistry is necessary, whereas their look-a-like the Corn Earworm (Heliothis zea) can be controlled more easily. 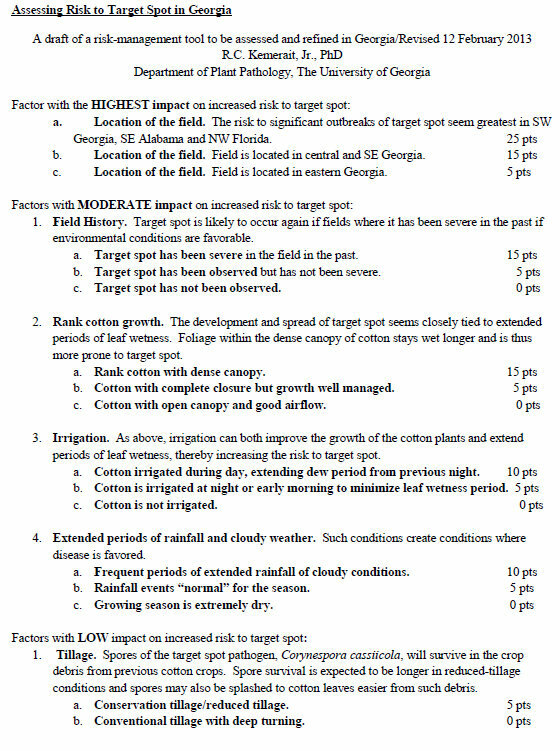 Below see the ID chart provided by Dr. Phillip Roberts, UGA Extension entomologist. 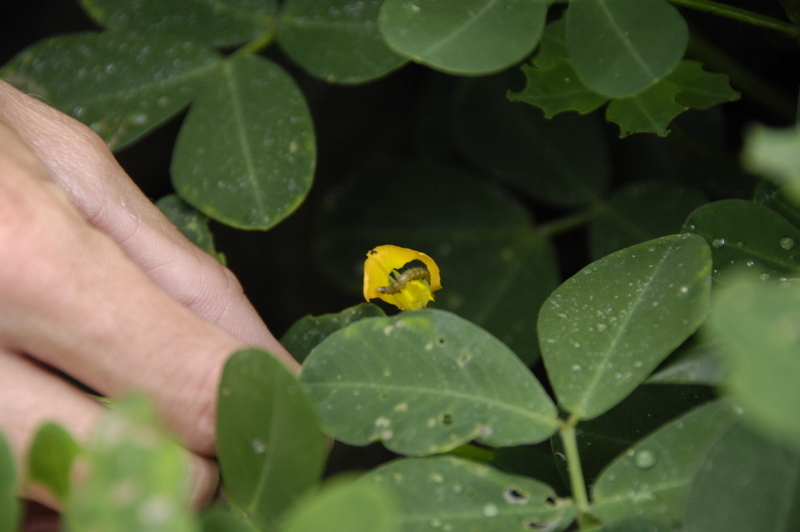 Rednecked peanut worm is a small caterpillar most often found in the growing point of the plant wrapped up in leaves. We found some this week. Sometimes a field will seem to be very slow growing and this will be the problem. I think there’s a new song about them on country radio. “Red, Red, Red, Red, Red, Red, Red Redneck. The worms ’round here. They cause growers some fear. Talk about bad, these worms are bad. Chew peanuts, chew peanuts, chew peanuts. Spit. Written by Jeff Braswell, Andrew Sawyer and myself.